There was an established Christian tradition of mapping of the Holy Land throughout the Middle Ages, but there is little evidence of Jewish mapping of the Promised Land during this period, aside from Rashi's diagrammatic plans of the Holy Land. Jewish cartography began to develop during the early modern period, as Jewish map makers began to produce pictorial accounts of the route of the Exodus. Paralleling the Christian creation of maps of the Holy Land that aided or recorded religious journeys or battles—pilgrimages and Crusades—Jewish maps focused on the holy, historical geography of Jerusalem. 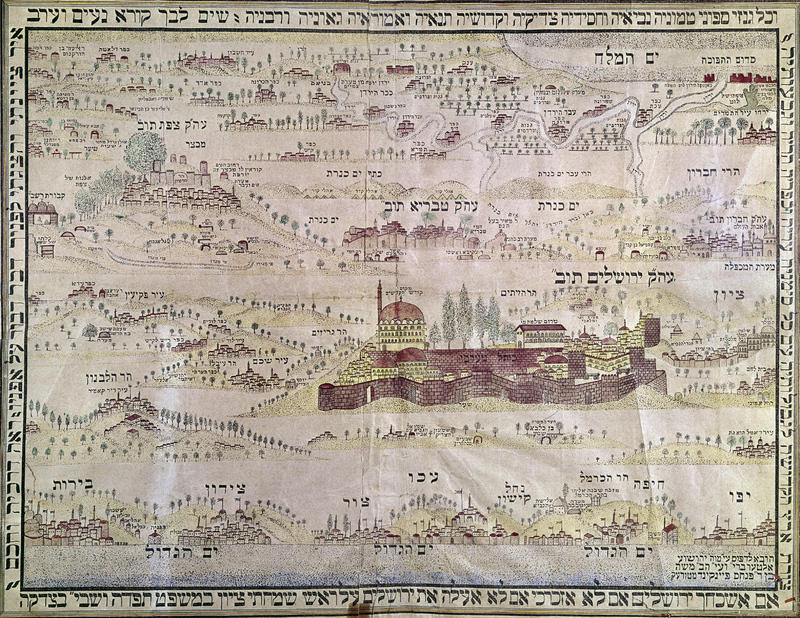 This printed map produced by Rabbi Pinie was designed for pilgrims to Palestine and was published in Poland in 1875. Jerusalem appears at the centre of the panorama. Above the Dome of the Rock is the inscription ‘the place of the holy of holies’, hinting at the Temple site below the mosque (compare the Hague Map and Breydenbach's Peregrinatio). At the centre of Jerusalem is the Kotel Ma'aravi, or the Western Wall. The surrounding countryside is labelled with key sites from Jewish ancient history, including the tomb of Huldah the prophetess, the tomb of the ancestress Rachel, and the tomb of the prophet Samuel. The map has more recently appeared on Israeli postal stamps. Jerusalem has been a spiritual focal point for Jews, Christians and Muslims for centuries—a holy city and dreamed of destination for their adherants. The city’s centrality has been reflected not only in religious expression, writings and art, but has also affected the way the city has been mapped. Most of the maps here are not the kind of cartography familiar to the modern eye: generally speaking, these plans were not intended to help potential visitors to the Holy Land navigate Jerusalem. Instead, they chart a combination of the real and the imagined geography of the city. The line between the landscapes of the Bible and the landscape of the present day are blurred, as the imagined heavenly city is incorporated into maps of the real world. Most medieval maps of Jerusalem were undertaken by Christian artists whose goal was to provide the viewer with an image of a city they would almost certainly never have the opportunity to visit. During the Crusades, as Christians and Muslims fought for control of the Holy Land, many European mapmakers designed maps with the sole purpose of affirming the city as a site of purely Christian holiness, shaping the geography of the city to erase the Jewish and Islamic presence in Jerusalem. Not all maps, however, were born out of conflict. Another feature of map-making was to encourage pilgrimage to the city. 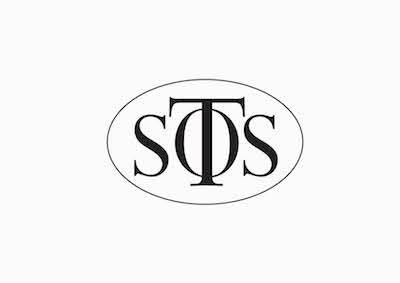 Even in cases where people were unable to visit the actual holy sites of Jerusalem, visually evocative pilgrimage itineraries allowed those who studied them to make an imagined spiritual pilgrimage, journeying in their mind’s eye to the holy, heavenly Jerusalem. With the invention of the printing press in 1440 CE, maps production increased rapidly. As cartographic skills improved, imaginative elements also lost their prominence, though they hardly disappeared. Even the most topographically accurate maps, however, remained religiously and politically charged. There aren't any related items yet. Why not view everything in Imaginations: The City as Destination?